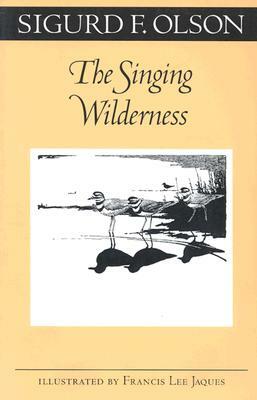 The Singing Wilderness is Sigurd Olson's first and best-selling book, with over 70,000 copies sold in hardcover since its release in 1956. Now available in paperback for the first time, this volume established Olson as a major writer renowned for the beauty of his prose and the clarity of his vision. "The singing wilderness has to do with the calling of the loons, northern lights, and the great silences of a land lying northwest of Lake Superior", Olson writes. "It is concerned with the simple joys, the timelessness and perspective found in a way of life that is close to the past. I have heard the singing in many places, but I seem to hear it best in the wilderness". Olson tells his story through descriptions of the simple events in nature that bring meaning to his life: picking berries, looking for pine knots, fly-fishing, hiking through the forest, paddling a canoe. "The movement of a canoe is like a reed in the wind", he writes. "Silence is part of it, and the sounds of lapping water, bird songs, and wind in the trees. It is part of the medium through which it floats, the sky, the water, the shores".